Bulls @ Magic NBA rated betting Free Pick for Friday. Written by National Basketball Association Point Spread Analyst Charlie Red McDougall. Charliessports.com produces it for Basketball Betting. NBA Daily Expert Picks are the best in the industry and will continue through the NBA Finals in June of 2019. We’re always providing BETTOR Friendly cards. Our signature 500* premium ATS Predictions are unreal & I promise you won’t regret purchasing, cash in Daily. The (14-44) SU, (25-32-1) ATS Chicago Bulls finished the first half with a 122-110 win over Memphis as 2 point home FAVORITES ATS. Chicago has scored 100 or more point in nine of their last ten games. They’re 11-42 as road UNDERDOGS in the 2018-19 season and have dropped eight of 11 away from the Windy City. Point Guard Kris Dunn (6.5) assists per game, is listed as probable tonight. Chicago is 3-1 AGAINST THE POINT SPREAD their last four on the road. The OVER is 5-0 Chicago last five on three days or more rest. OVER bettors has made profits seven of Chicago last ten away from home. Chicago is 3-7 ATS their last ten in Orlando. 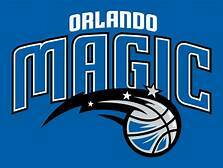 The (27-32) SU, (32-26-1) ATS Orlando Magic ended the 2019 break on a five-game winning streak. Orlando got a much needed 127-89 victory over Charlotte as 4 point home FAVORITES ATS. Tonight’s eight points are the largest POINT SPREAD Orlando is as FAVORITES this season. Orlando is second in the Southeast division and a nine-seed in the Eastern Conference. ORLANDO is 4-0 AGAINST THE POINT SPREAD their last four at home. The UNDER is 18-4 the last twenty-two between the teams in Orlando. The Magic 4-0 ATS their last four following a POINT SPREAD cover. UNDER bettors has made profits in six the Magic last eight on Friday’s. Friday’s game is 7:05 PM EST at Amway Center in Orlando, Florida. The local television network will be broadcasting. The Betting Line has Chicago as 8 point road UNDERDOGS ATS. The TOTAL is 217 points for Friday’s contest. Orlando Magic head coach Steve Clifford has his team playing at a high level but can they keep soaring the next three months. The Magic are 19-25 vs. Eastern Conference opponents and are averaging (114.0) points the past ten games which is nearly nine points above their (105.8) they usually score. Center Nikola Vucevic (20.5 ppg and 12.1 rebounds) which leads the team. Aaron Gordon and Evan Fournier are the only other Magic who score in double digits per contest. The Magic shoot (35.2%) from beyond the three-point line while allowing opponents (35.6%). At the other end of the floor, Orlando gives up an average of (106.8) ppg which ranks sixth league-wide. Tonight is the final meeting between the teams this season and Orlando has scored over 50 points by the half in two of the three. The top team of sports Handicappers at Charliessports.com has a FREE PICK on Orlando-8 tonight. 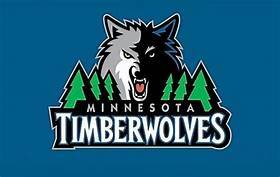 We are impressed with their intensity as they displayed in a blowout win over Charlotte and the coaching staff trusts they’ll make the right decisions on their shot selection. Bovada.Lv list the Chicago Bulls win total at 29′ games for 2018-19. 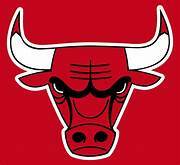 The Chicago Bulls has won four times the last twenty times they’ve taken the floor. Since arriving from Washington Otto Porter Jr. is averaging (22.5) ppg while shooting (62.0%) percent from the field the past ten games. The former Georgetown University seems to have found a system where he fits as opposed to the toxic environment in the Nations Capital. Zach LaVine (23.0) ppg leads the team in scoring while Lauri Markkanen is a skilled post player that can play away from the basket. Chicago is 11-14 ATS this season when they’re an eight-point UNDERDOG or less. A key to a win for Chicago tonight will be how well they shoot the basketball; Orlando has won seven of eight when holding opponents under (40.0%) shooting from the field. This Sports handicapper is aware the Bulls organization is looking to get into the 2019 NBA draft lottery and the Zion Williamson sweepstakes. However, they still have young talent that will flourish in the correct system, and at some point, management must decide what direction to pursue. Bovada.Lv list the Orlando Magic win total at 31 games for 2018-19. Free Pick. Orlando-8 points. Also Play Online Poker Plus Other Casino Games and enter some of the best Tournaments on the World Wide Web. The entire Basketball universe is in Charlotte while Hornets take on Magic Thursday. Written by NBA Point Spread Expert Analyst Charlie Red McDougall. 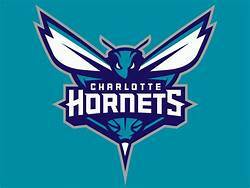 The (27-29) SU, (28-28) ATS Charlotte Hornets lost to Indiana 99-90 as 5′ point road UNDERDOGS ATS on Monday. February, 11th. They’ll finish a four-game road trip tonight in Orlando in a Southeast division contest. Charlotte has owned the Magic winning 13 consecutive in the series while going 11-3 AGAINST THE POINT SPREAD in the span. The Hornets are first in the division, but Orlando is just two games behind. Charlotte is 3-3 AGAINST THE SPREAD their last six on the road. The Hornets are 6-2 ATS their last eight vs. Team with an SU losing record. The OVER is 5-2-1 their previous eight on two or more day’s rest. UNDER bettors have cashed in 5 of Charlotte last nine overall. The (26-32) SU, (31-26-1) ATS Orlando Magic are riding a four-game winning streak after a 118-88 road victory over New Orleans as 4′ point road UNDERDOGS ATS. It’s been a combination of tight defense and balanced scoring which has propelled the recent success of Orlando. With all that said head coach Steve Clifford wants to take down his former team in the worst way tonight at home. Orlando is 6-1 AGAINST THE SPREAD their last seven overall. The Magic are 8-21 ATS the previous twenty-nine between the teams. The UNDER is 3-2 Orlando last five at home. OVER bettors has made a profit in 8 of the last between the teams in Orlando. Thursday’s game is 7:00 PM EST at Amway Center in Orlando, Florida. The Local television network will be broadcasting. The Betting Line has Orlando as 3′ point home FAVORITES ATS. The TOTAL is 214′ points for Thursday’s contest. Charlotte Hornets owner Michael Jordan is well aware of what All-Star weekend is like but hosting the annual spectacle is a different story for younger players who play in the host city. Point Guard Kemba Walker (25.2) points per game will represent the Hornets in the nationally televised game on Sunday. February, 17th in a starting role. In the first two meetings between the teams, this season Charlotte shot (44.7%) and (45.8%) from beyond the three-point line which could provide a fools gold mentality. The coaching staff wants to continue the dominance after all they’ve dropped three of four SU which has them with a slim lead in the division. With all the hoopla surrounding festivities in their city this weekend Jordan wants them to stay focused on and off the court. Charlotte has beaten Orlando by a total of 94 points in three games dating back to April of last season which shows the dominance. The Top team of NBA Handicappers at Charliesports.com will have a play on Charlotte vs. Orlando tonight either SIDE or TOTAL which will win either way. Charlotte acquired NBA journeyman Shelvin Mack from Memphis who went scoreless in twelve minutes at Indiana. Charlotte must come out composed in spite of the excitement of hosting friends around the league. Bovada.Lv list the Charlotte Hornets win total at 35′ games for 2018-19. There’s nothing more than Steve Clifford wants than to break the curse of losing basketball games to the Charlotte Hornets. As well as the Hornets have shot the ball from beyond the arc in the two meetings this season, Orlando has been equally worse. They’ve combined for 16 of 66 shooting three-pointers for (24.2%) which isn’t a formula for winning. However, this seems to be a different Orlando team as they’ll look to go into the break with confidence; they’ve beaten Milwaukee by 20 points without Giannis Antetokounmpo, Atlanta by 16 and New Orleans by 30 points all on the road. The last five games Orlando has a (15.8) ppg win average which includes a home win over Minnesota. Orlando understands they don’t have a Kemba Walker to depend on in crucial situation to score the basketball, but they play tight defense. In the past ten games, Orlando is fourth in scoring differential, only Milwaukee, Oklahoma City, and Golden State are better in the span. The fourth and final meeting between the teams will be in April. Orlando puts up (105.4) ppg which ranks 25th league-wide while they all opponents (107.2) ppg, 8th in the NBA. Center Nikola Vucevic paces the team with (20.6) ppg. This Sports Handicapper expects Clifford to have his team ready for action tonight but have they overcome the mental aspect of losing to Charlotte? Bovada.Lv list the Orlando Magic win total at 31′ games for 2018-19.